Doctor Michael Byrom – is a cardiothoracic surgeon with specialised training and experience in minimally invasive aortic valve replacement; aortic surgery, mitral valve repair; all-arterial coronary bypass surgery, surgical left ventricular remodelling, and minimally-invasive thoracic surgery including VATS lobectomy. Dr Byrom undertook his PhD with The Baird Institute and since completing his training has worked extensively at the Bristol Royal Infirmary, focusing upon techniques in minimally invasive cardiac and thoracic surgery and gaining considerable experience performing aortic root and arch replacement, mitral valve repair, and left ventricular remodelling procedures. 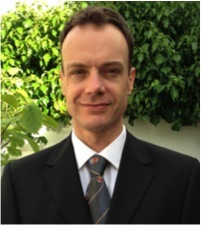 Dr Byrom’s PhD studies at the University of Sydney, completed in 2013, involved a multidisciplinary project between the departments of cardiothoracic surgery, cardiology, biochemistry and physics, to produce two entirely new conduits for use in vascular bypass surgery. This has led to further insights into the design and optimal use of small- and large-diameter conduits for coronary artery bypass and aortic surgery as well as other biomaterials in use in cardiothoracic surgery. At the same time as his PhD studies Dr Byrom also undertook a Graduate Diploma in Surgery focused on biostatistics and epidemiology, and his research interests include the design of laboratory methods and animal models to advance translational research and bring bench side developments into clinical practice.